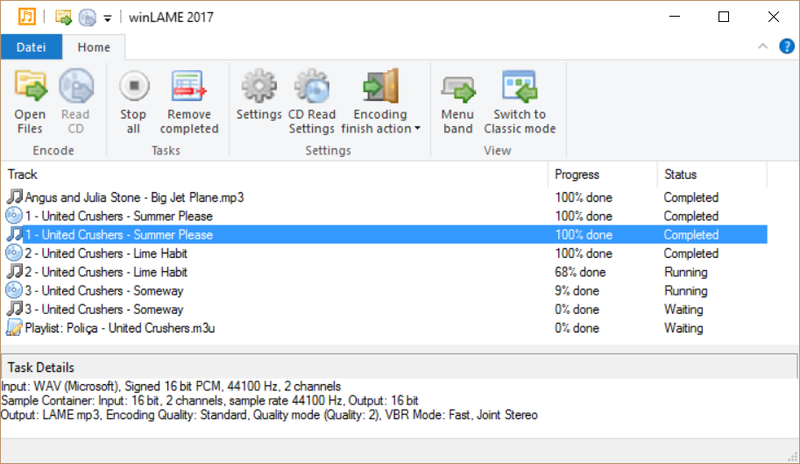 winLAME is an encoder for several audio formats, including mp3, Ogg Vorbis, and more. Lets you set up the encoding process with an easy-to-use wizard-style user interface. 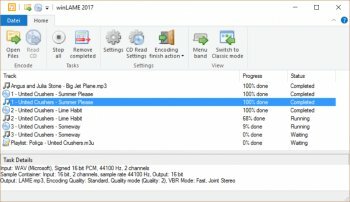 It supports many input audio formats, and uses the LAME mp3 encoding library for encoding and the MAD decoding library for decoding. Since I see a review from 2009, and there is no apparent progress from that time [still beta 1] one must conclude that the author is an idiot. There is a file needed [vcruntime140.dll] which, when added, still prevents this from starting on a Windows 7 x64 Ultimate system. That there is no mention of this by the author, nor any actual setup instructions attests to the cavalier attitude, and the thoughtlessness of the author. One assumes even freeware is released in hopes of gaining a wide usage, and credit for an author. IN this case. apparently that was not the purpose. When a program will not start, but just errors out, can it be worth anything? WinLame? And it written for Windows? Hehe. Pretty cool program. LAME for MP3 encoding is of course ideal. MAD for decoding is another very good choice.